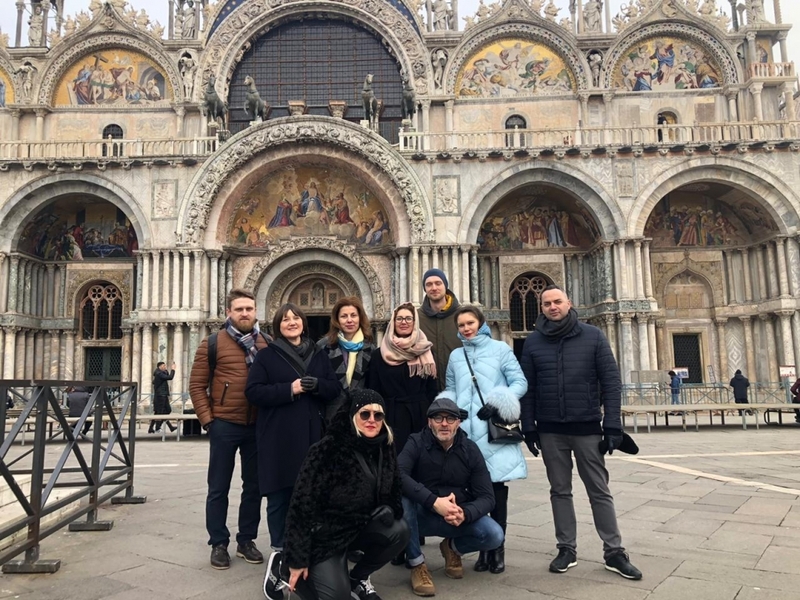 Last week, we had an unforgettable experience for a dozen architects from Moscow: guided tour in Russian language of 4 reconstructions of historic buildings of particular interest for modern architecture. Interesting visit to icon places of the renovation of ancient Venetian palaces made by contemporary architects. FONDACO DEI TEDESCHI of the architect REM KOOLHAAS / MONCADA AND SANDOR, with a spectacular view from the rooftop terrace to the 4th floor (In some rooms our ARES radiators are installed). FOUNDATION QUERINI STAMPALIA by Architect CARLO SCARPA (scale), DE LUCCHI (ceiling). An art gallery showing sculptures by the famous contemporary architect, ARTURO MARTINI.